Maple Orgtech (India) Ltd. is manufacturing and propagating EM in India under agreement with EMRO, Japan. EM technology was developed by Dr. Teruo Higa in Japan. 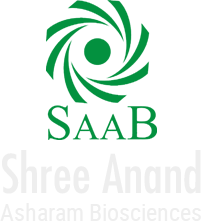 EM stands for â��Effective Microorganismsâ��. It is a consortium of different strains of beneficial and effective microorganisms, both aerobic and anaerobic in nature. It is processed by EMRO personnel under strict quality standard in Maple Orgtech (India) Ltd., Kolkata. These organisms are collected from the natural environment and not imported, exotic or genetically engineered. The main microbes are Lactobacillus, Photosynthetic bacteria and yeast. EM helps to increase the resistance or immune system of animal/ poultry from diseases, so it lowers regular requirements of antibiotics, medicines and keep animal/poultry healthy. EM helps to improve in productions quality and quantity. It provide healthy environment for animals/poultry to live and reduce the usage of Disinfectants regularly. Reduces insects, pest and harmful insect populations, reduce stress also. We can provide technical help and supply of EM. 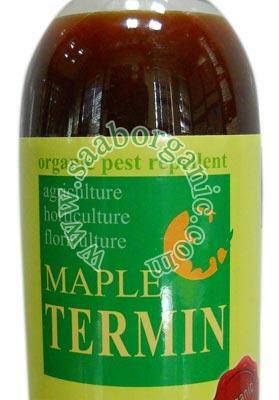 Maple EM is ECO FRIENDLY, SAFE and ORGANIC. 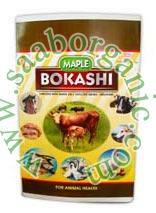 Maple EM decreases skin problems in animal. Maple EM improves feed conversion ratio. 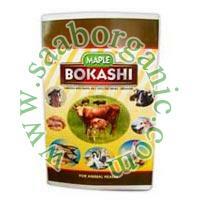 Maple EM improves the digestive process in animal. 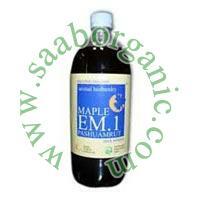 Maple EM suppresses stomach related diseases. Maple EM suppresses foul odour in livestockÂ shed and animal waste. With useful microorganisms Maple EM converts animal waste into the compost. Menace of flies and mosquitoes leads to the minimal by application of this technology. Maple EM can work in any condition. Maple EM is safe for animal health. Maple EM improves animal fecundity. Continuous use of Maple EM lowers the requirement of regular medicines, antibiotics and disinfectants; hence it helps to reduce the cost of production. Using Maple EM meat, milk, and egg produced are in better quality and quantity.